Earlier on in the month, my frat brother who works for the Tulsa Shock reserved tickets for the Shock/Mystics game at the Convention Center in DC. Jumping on the opportunity to fellowship with Gator alumn, I was more excited about the stories to share post-undergrad than the WNBA basketball game....and then it happened. 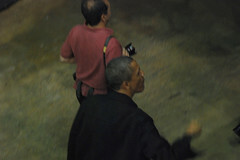 Outside the Convention Center word spread that President Obama and his youngest daughter, Malia would be in attendance! My priorities changed as I wanted to get my first one-on-one opportunity shoot (ahem a picture of) the president of Kenyan (and Hawaiian) origin. Realizing how far away from the court side my seat was and how ill-equipped I was to get decent pictures, I grudgingly took out my camera in hopes of getting any pictures of him to share with you all. 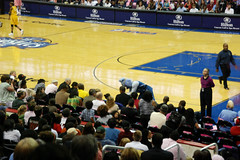 The Mystic mascot mistakenly shook hands with almost everyone on the first row except Malia, and was quickly reminded by the audience to go back and greet the Commander and Chief and his daughter. Possibly one of the more famous back-of-the-heads ever photographed. I was envious of how close buddy had gotten to the prez. The decent 'money shot' of the day and I'll explain why in a bit. Just before this picture, I froze...sigh. 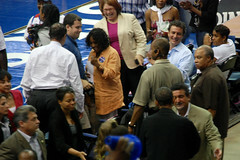 I was close enough to President Obama and he seemed to stretch out his hand toward me! 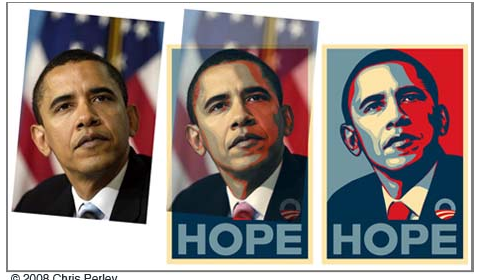 So instead of taking possibly my rendition of the HOPE poster picture of my own. I ended up with another pass-me-by picture. Now if that isn't the presidential effect, I don't know what is. 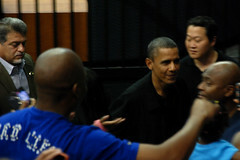 I couldn't beat myself down for too long though, at least I got a handshake from the most powerful man in the world. What did you do that was awesome this month? The Ghanaian equivalent to Teddy P or Luther Vandross, Kojo Antwi is our multi-award winning romantic songs crooner who I grew up listening to. 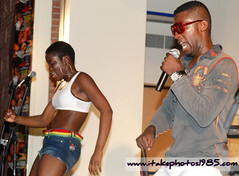 One of the opening acts, Koby Maxwell...a local artist in the DMV. 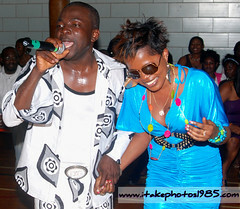 Papa Shee was another opening act, and surprisingly introduced Mzbel who was in attendance. 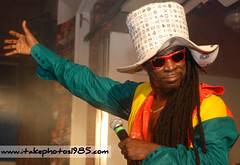 Though the venue was trash & the sounds men were disappointing, Kojo Antwi did his thing. 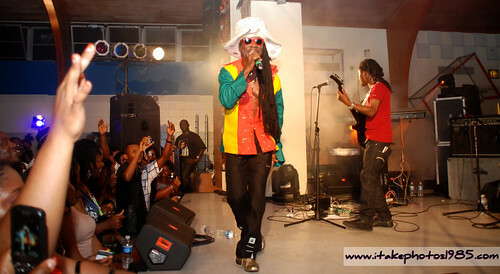 For an extensive review of the concert, you should read my man MIghTy African's blog post.